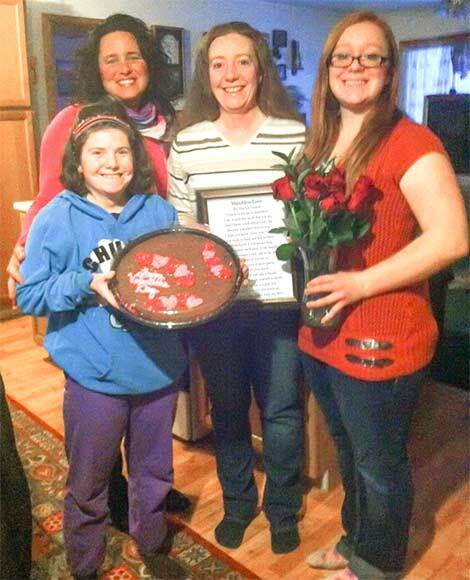 "A Clean House for a Sweetheart"
Walkerton, January 1  CleanRite Cleaning Services is pleased to announce the winner of the 2015 "Clean House for a Sweetheart" Poetry Contest: Amy Carpenter of South Bend, Indiana. Eileen Wyant, Amy's mother from North Liberty, Indiana, wrote the winning poem to her daughter, who works hard "to make being a mom look like a breeze." For this year's "Clean House for a Sweetheart" Poetry Contest, Dawn Gorby-Verhaeghe, owner of CleanRite Cleaning Services, wanted to reward the winner with a special Valentine's gift: a complimentary professional house cleaning. "Most Deserving Parent" Essay Contest Winner"
Walkerton - CleanRite Cleaning Services, Inc. is pleased to announce that Misty Nies is the winner of the CleanRite Cleaning Services, Inc.'s 2014 Most Deserving Parent Contest, held each year in conjunction with Mother's Day and Father's Day. 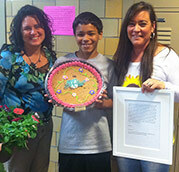 Misty's son, Arizona Nies, wrote an essay for his "loving and caring mom, who adopted him forever." Arizona, a sixth-grade student at Bremen Middle School, wrote his poignant essay, speaking of his former life with a mom who was a drug addict and a dad who left when he was born. Arizona was told that as a "last resort" his new mom and family would take him in. For Arizona, the foster children who live with his family, and the children his mother babysits each day, the Nies home is a safe haven  albeit a busy one. It's clear from Arizona's essay that his mom has a lot of love in her heart to give, and CleanRite is happy to professionally clean her house so that she can enjoy her favorite time of day, family time, with her loved ones. Arizona's entry was one of 141 entries from schools in North Liberty, Walkerton, Bremen, and Niles, judged by 11 CleanRite employees. Misty Nies's grand prize will include dusting, vacuuming, mopping, polishing furniture and cabinets, cleaning ceiling fans/fixtures, and more. The other entrants will receive consolation prizes  gift certificates worth $25 toward an initial house cleaning  for their essays.. Your love for me is matchless. Because a mother's love is true. You work so hard and rest so little. Space, aspirin; we'll meet in the middle. Yet you never tell me so. And I rarely ever know. Or else you might work yourself to death. Even when I'm angry and annoyed. I'll miss you more than you will ever know. You're forever in my heart, Mother dear. 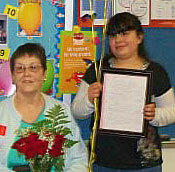 2013 Most Deserving Parent Contest Winners Walkerton - CleanRite Cleaning Services, Inc. is pleased to announce that Janice Warren of Plymouth and Jerry Ewing of Culver are the winners of the CleanRite Cleaning Services 2013 Most Deserving Parent Essay Contest. Regina Warren used the word "deserving" and its dictionary definition to describe her mother, Janice, who is "the hardest working person" Regina knows. She says that for years her mother kept a pristine house while holding down two jobs and raising four children as a single parent. Recently, however, Janice has incurred several health challenges and Regina says she would like nothing more than to see a clean house brighten her mom's Mother's Day, just as her mom has brightened Regina's life for the past thirty years. Darla Bajdek nominated her father, Jerry, describing him as a loving, caring, devoted father and husband, a man of honesty and integrity, with a heart full of compassion for many. Jerry has, without hesitation, helped many people throughout his life: assisting his parents in times of need, nursing his wife through illness before her death, and pitching in to help his neighbors. Described as an "angel to those on earth and those who have passed," Jerry is well deserving of this year's prize of a clean home for Father's Day. 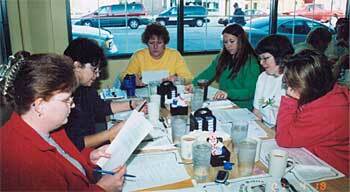 The contest this year included 138 essays that were judged by twelve CleanRite employees. Click for winning 2013 entries. Walkerton  CleanRite Cleaning Services is pleased to announce that Sandy Bressler is the winner of the CleanRite Cleaning Services, Inc.s 2012 Most Deserving Parent Contest. Sandy wrote her essay about her parents, Carl and Wilma Orsund, of Nappanee, Indiana. Sandy wrote about the challenges her parents have faced in recent years: her father has not only endured cancer but has also suffered two recent falls. Her mother, who has been in good health all her life and has always cared for her husband, is now recovering from her own recent surgery. Because Sandy and her siblings work full-time jobs, they are somewhat limited in what they can do to help their parents. They are excited about the contest and hope the prize will help their parents in a tangible way and make their lives a little easier. The contest prize includes dusting, vacuuming, mopping, polishing furniture and cabinets, cleaning ceiling fans/fixtures, and more. The Orsunds will receive one free initial house cleaning for Mothers Day. "Clean House for a Sweetheart"
Walkerton February 8  CleanRite Cleaning Services is pleased to announce the winner in this years Clean House for a Sweetheart Valentines Contest Winner. In the sixth annual contest, nine CleanRite cleaning specialists selected the poem Ode to a Sister composed by Donna Burroughs of Argos, Indiana, for her sister, Diana Budka of Plymouth, Indiana, as the winning entry. 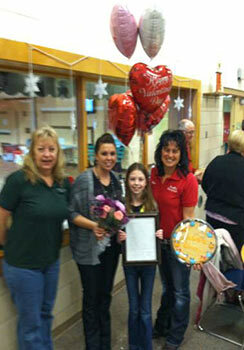 CleanRite received 196 contest entries, including 86 from Walkerton Elementary and 43 from North Liberty Elementary. Dawn Gorby-Verhaeghe, owner of CleanRite Cleaning Services, will be visiting each school, sharing contest information, winning entries, and treats with the students who participated. In this contest, everyone is a winner, as each participant will receive a $25.00 CleanRite gift certificate thats good for a future cleaning. The grand prize includes dusting, vacuuming, mopping, polishing furniture and cabinets, cleaning ceiling fans/fixtures, and more. Diana Budka, the grand prize winner, will have her home professionally cleaned in time for Valentines Day. Walkerton - CleanRite Cleaning Services is pleased to announce that Nathan Ockerman, a seventh grader at Oregon Davis, and Kylie Rhodes from Walkerton Elementary are the winners of the CleanRite Cleaning Services 2011 Most Deserving Parent Contest. 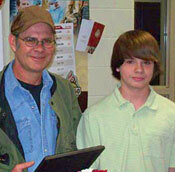 Nathan wrote his essay about his dad, Richard Ockerman; Kylie Rhodes wrote about her aunt, Betty Schulte. Nathan, a student of Ms. Estok, explained how his father took care of him and his brother after their mother left, and he told of the long hours his father puts in at his job to make sure they have what they need. In addition to thanking his dad for things like cooking their meals and washing their clothes, he also thanked him for not making him help with the grocery shopping. Kylie, a student of Ms. Guseilla, spoke of challenges her aunt has faced in recent years: her husband passed away, she was hit by a car and spent three weeks in the hospital, and she split open her head in an accident on the stairs. In spite of these tragedies, Kylie says her aunt still spoils her and the rest of the family when they visit. The contest this year included 173 essays - with 89 student essays from Oregon Davis, 35 from Walkerton Elementary School, and 39 from North Liberty Elementary. The winners will have their homes cleaned in time for Mother's Day. Walkerton - CleanRite Cleaning Services is pleased to announce a tie for this year's "Clean House for a Sweetheart" Contest: Mollie Rudecki and Brianna Helminger. 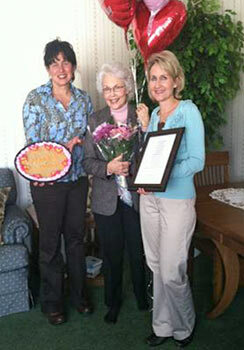 Mollie Rudecki, a John Glenn High School student, wrote "Grandma Evelyn, What Would I Do Without You?" to her grandmother, Evelyn Rudecki, who is currently undergoing cancer treatment. When Mollie was told that she had won the contest and that her grandmother would receive a professionally cleaned home, she cried, saying that she didn't know what she would do without her grandmother. Mollie's poem begins by reminiscing about special memories that she and her grandmother shared before turning to the subject of what she could do to encourage her grandmother during her cancer trial. 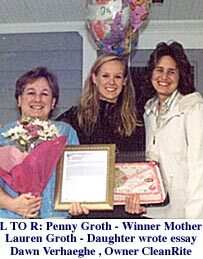 Walkerton - CleanRite Cleaning Services, Inc. is pleased to announce that Bonnie Solomon of Argos, Indiana is the 2010 winner of the "Most Deserving Mom" Essay Contest. According to her daughter, Sheila Beers, ..
Click here to read the winning entry! Walkerton - CleanRite Cleaning Services, Inc. is pleased to announce that Shelly Stout-Stromyer from Walkerton is the 2009 winner of the "Most Deserving Mom" Essay Contest. According to her son, Ryan Stout, Shelly deserves a clean house because she spends every waking moment working... Read more! Click here to read about the winning entry! 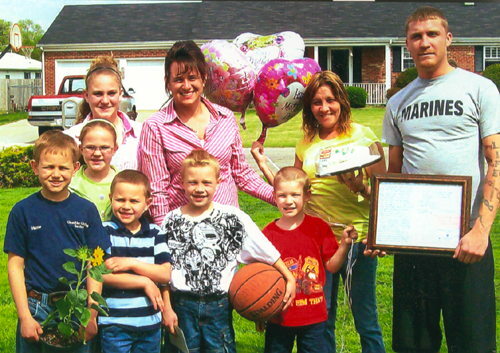 Walkerton - CleanRite Cleaning Services, Inc. is please to announce that Krishna Lundgard of South Bend, Indiana is the 2007 winner of the "Most Deserving Mom" Essay Contest. She beat out a mom with four kids under five and no "Nanny 911" calls, a mom with a dedication written to the tune of the Beverly Hillbillies, and many other nominees. 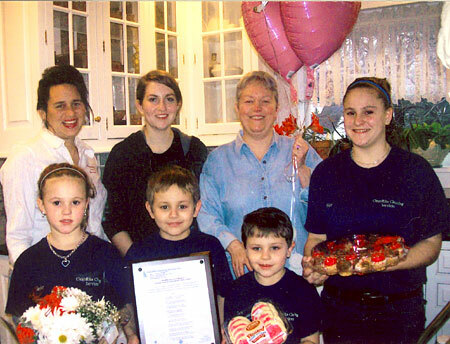 Dawn Gorby-Verhaeghe, owner of CleanRite Cleaning Services, launched the essay contest in order to reward one special mom with a real treat, a free professional house cleaning. The judges, six CleanRite employees, found it difficult to select a winner this year with so many deserving nominees. The judges eventually selected the winning entry, written by Debra Voltz-Miller. Ms. Voltz-Miller nominated her daughter Krishna for her sacrificial spirit. In 2005, Krishna, who has two children of her own, took in her niece and nephew (now 13 and 15) after her sister passed away. When she found out that her daughter's friend and her brother did not have a stable home, she also welcomed in those children (now 11 and 13). Krishna's house is always filled with six kids and their friends, with dinners for twelve or more a frequent occurrence. 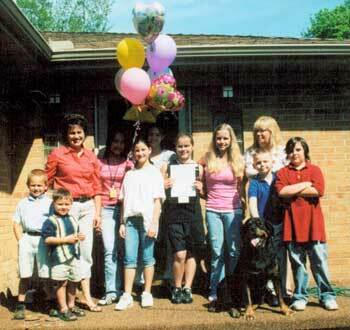 In July of 2006 her house burned and all the contents were destroyed. Fortunately, except for the fish and hermit crabs, no one was hurt. The family, however, had to move to the extremely cramped quarters of a rental property until they were able to move back to their own home. According to Krishna's mother, though the stresses of the last two years have been enormous, Krishna has shown the strength to give love and comfort to any child who comes through her door. In awarding the prize, Dawn Gorby-Verhaeghe announced that CleanRite is also presenting each entrant and nominee with a $25.00 gift certificate, good toward on initial house cleaning because, in her eyes, "each one is a winner." The grand prize winner, Krishna Lundgard, will enjoy a professionally cleaned home sometime in May.